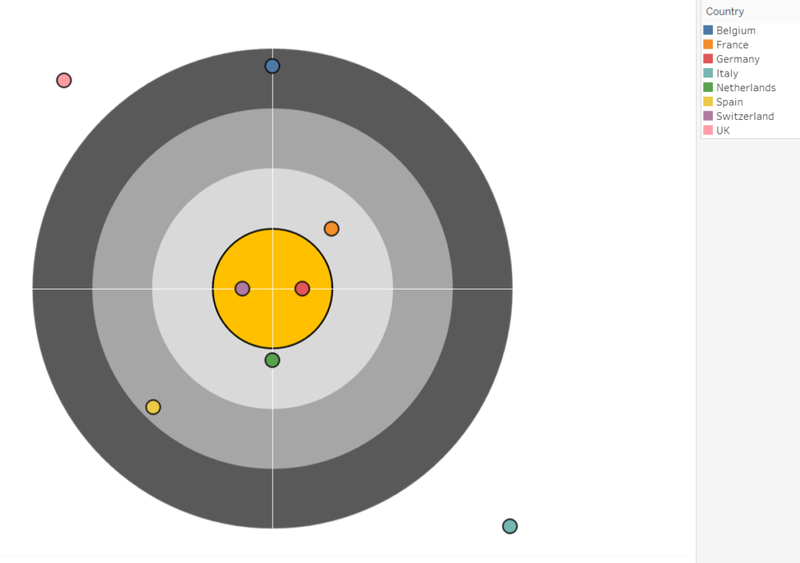 Please let me know how can we create below custom visualization in Tableau called 'Bullseye. Thanks. I'll use a sample image and plot data on it. The link below will help you get started. I do have the sample image for this, but trying to plot data and further drill down. So looking for a sample file. If you could share a .twbx file I can give it a try. In the meantime you can refer to this.